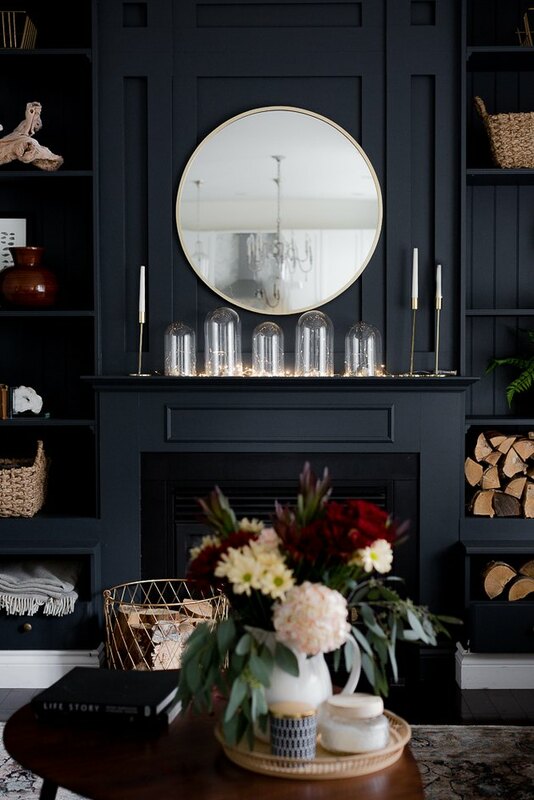 Creating a beautiful glow within your home during the holiday season does not have to take a lot of work and effort. 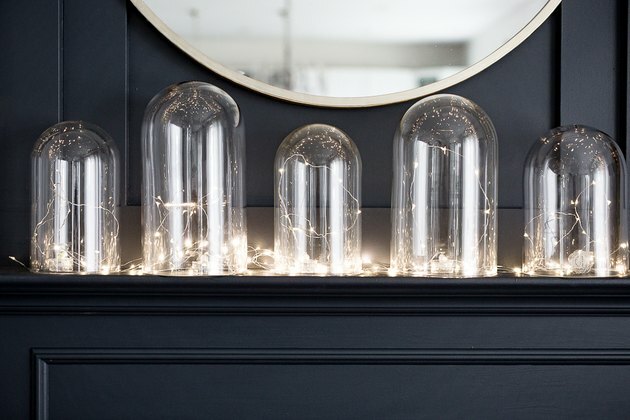 By simply inserting mini lights into groups of glass cloches, you can design a stunning and warm display. This would look gorgeous on a mantel, bookshelf, or sideboard. 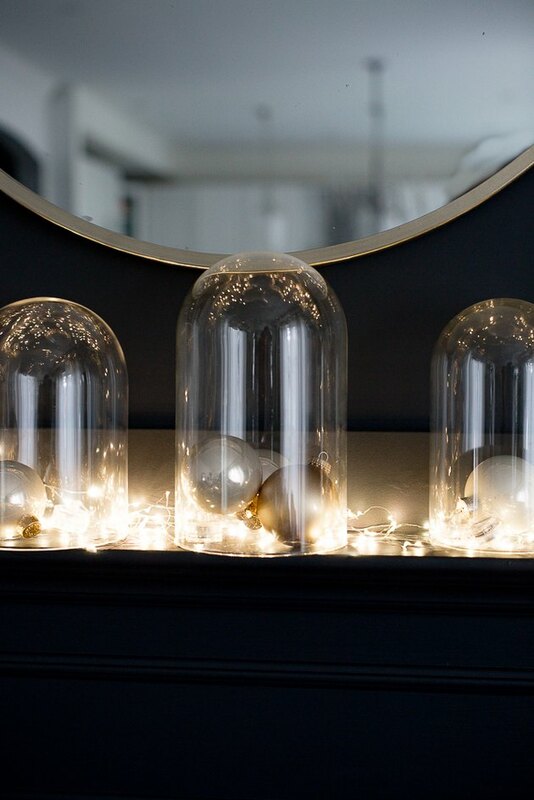 Place the mini lights inside each cloche. There's no set way to do this, but try to have some of the lights extending towards the top of the cloche. 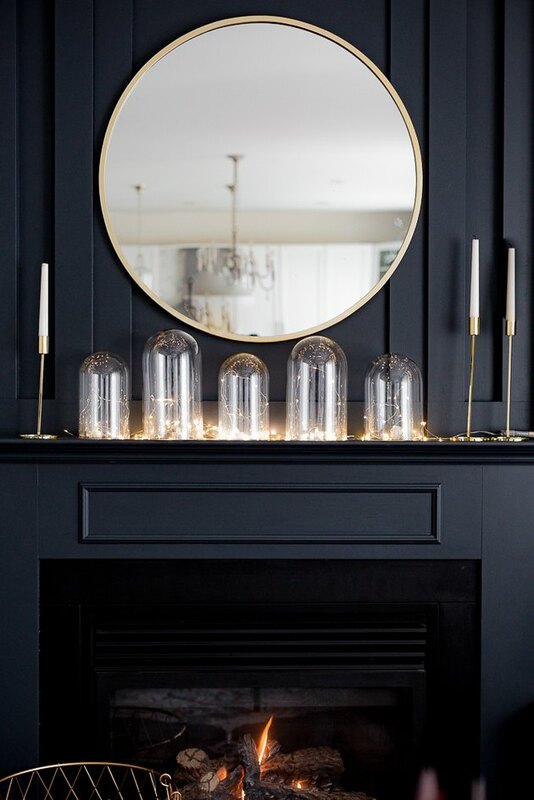 Arrange the glass cloches along a mantel or bookcase, making sure you alternate the heights of cloches. Tip: If needed, use books under some of the cloches in order to create various heights. 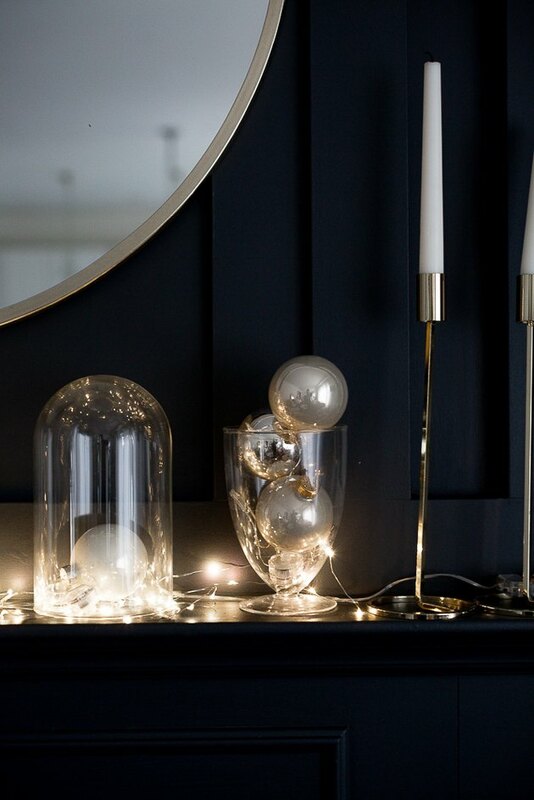 For more interest, or to hide the battery packs, you can place Christmas bulbs inside the cloches as well. 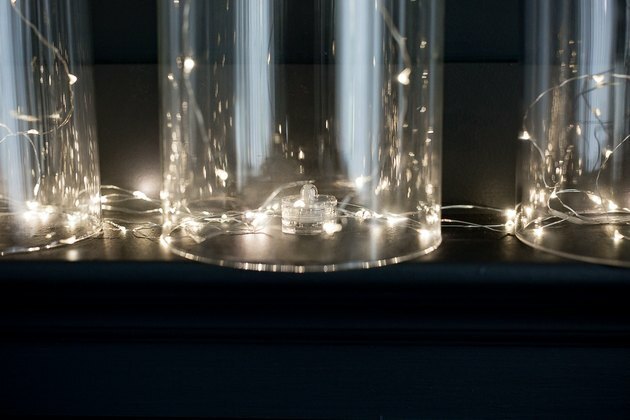 If you don't have any cloches, you can also achieve the same effect by using jars or glass vases.